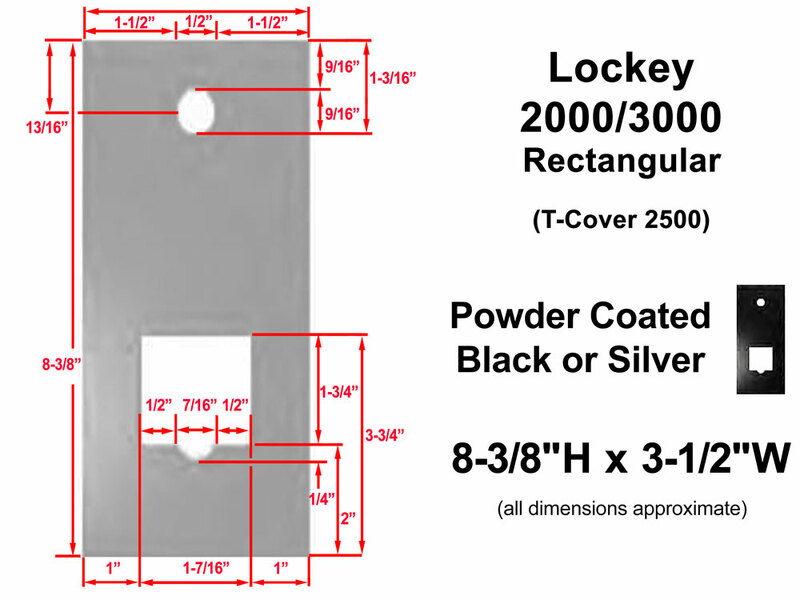 These metal trim plates are made of steel and are great for covering up holes or gaps in the door. 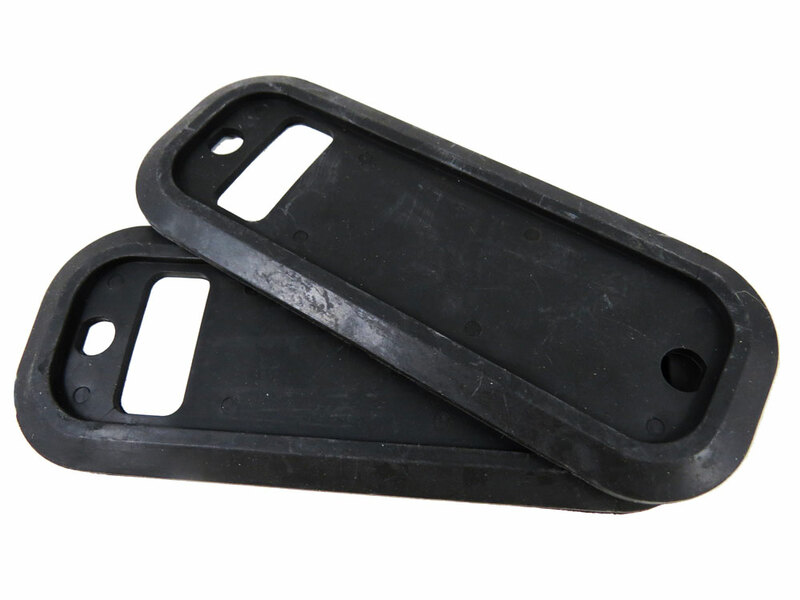 These are made of metal so they cannot be cut with an Exacto knife like a rubber trim plate can. 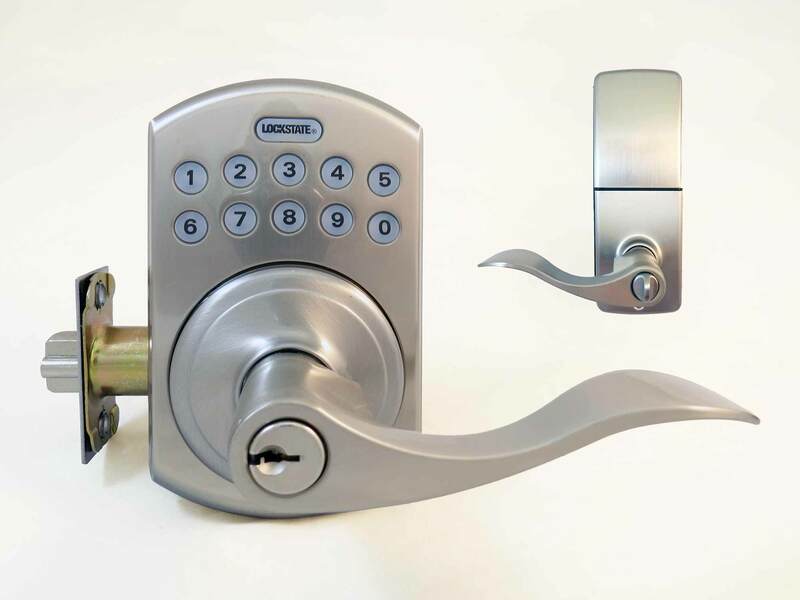 They vary in size and shape, so be sure to specify the correct lock when you order. 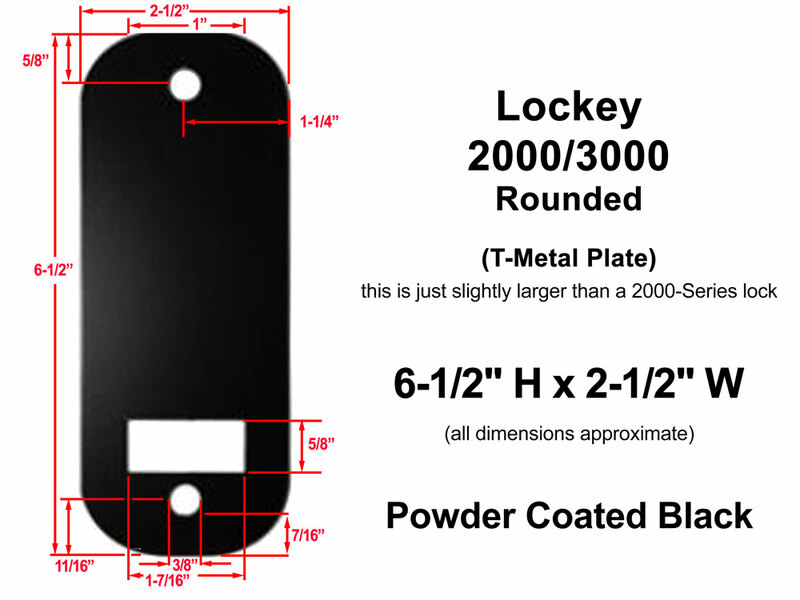 Some steel trim plates can be ordered with a black powder coating. 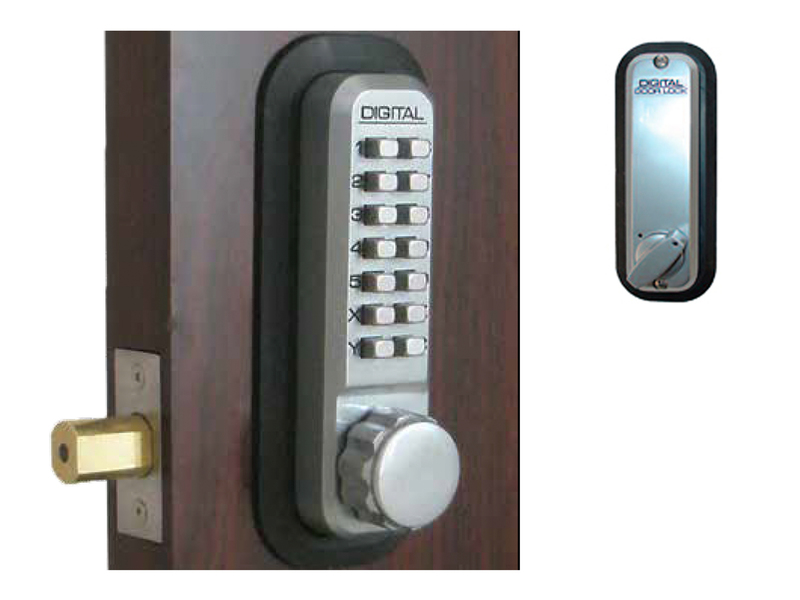 Some steel trim plates come in silver only. 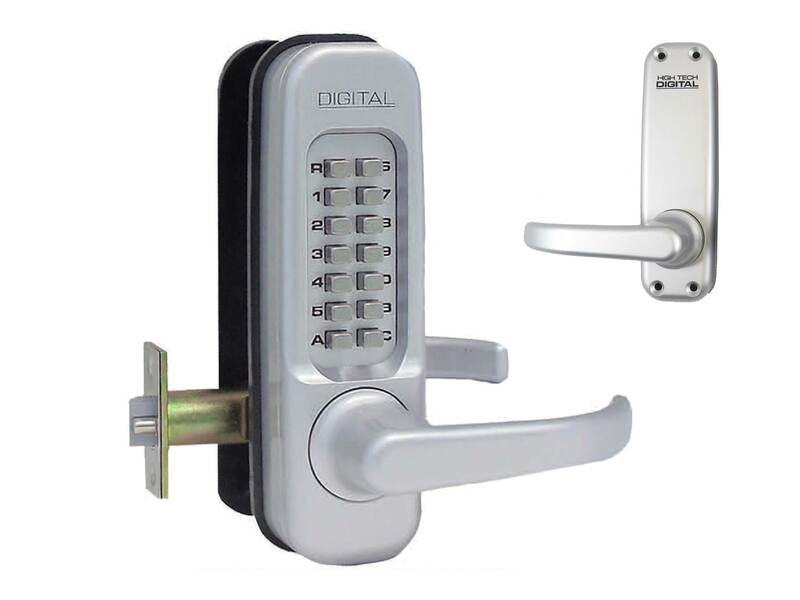 Be sure to specify which lock you have below because the dimensions and shape of these trim plates vary, depending on the lock model. 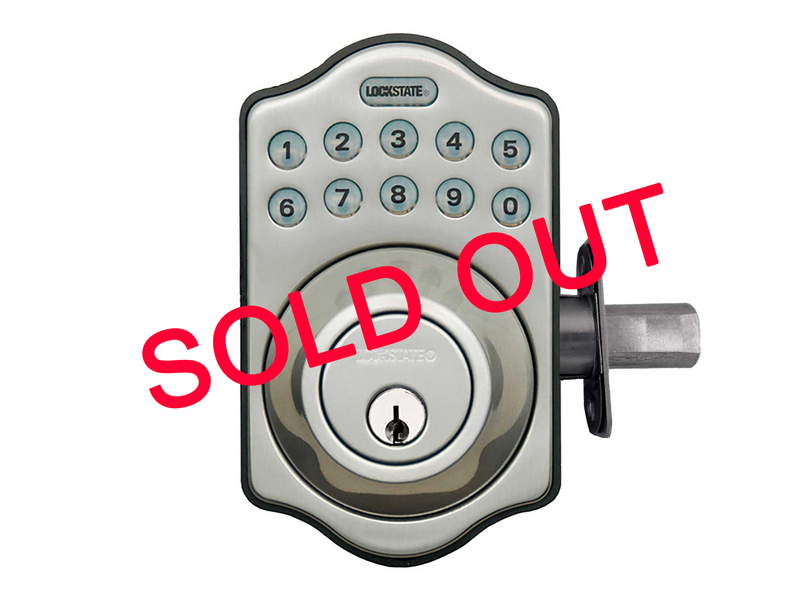 Door lock plate guards are sold individually. 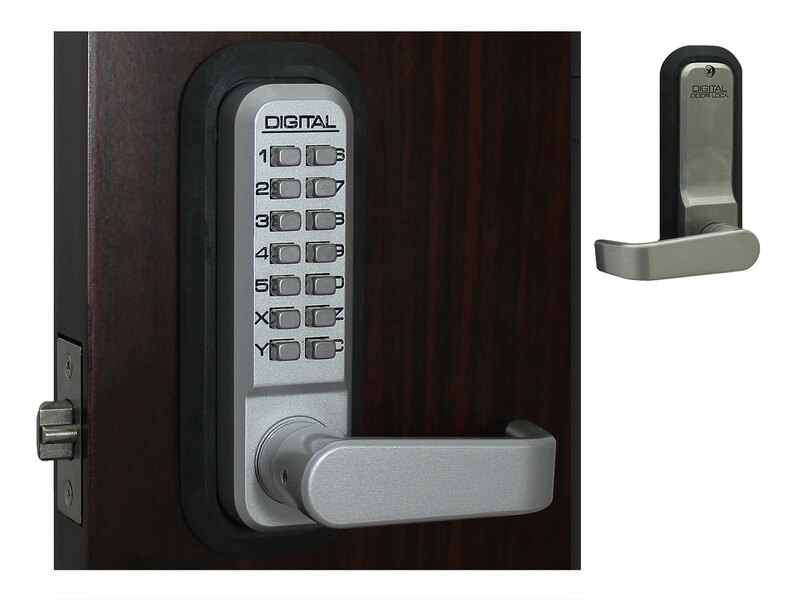 If you want to use one on the outside and inside of your door, be sure to order two. The images on this page are not drawn to scale. Please refer to the actual dimensions shown on each photo. 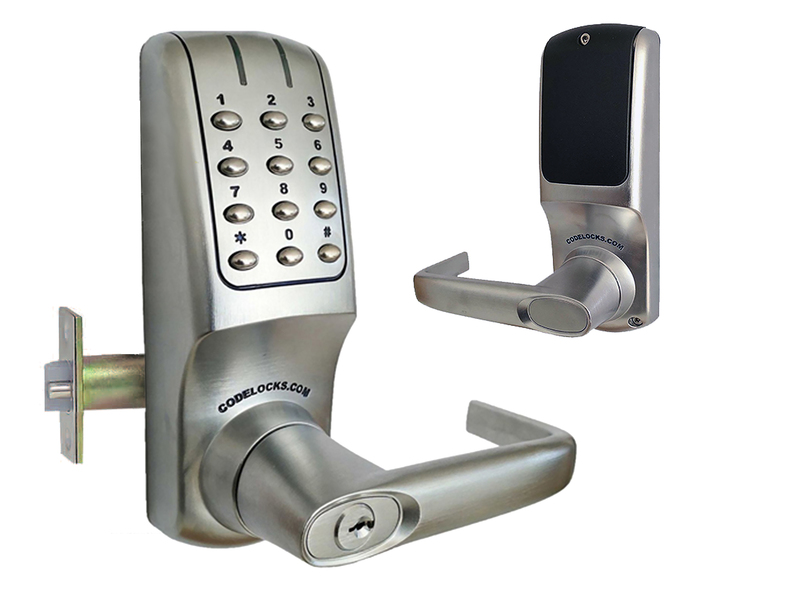 Covers up the Kaba/Simplex mounting holes and works with all Lockey 1000 Series locks. 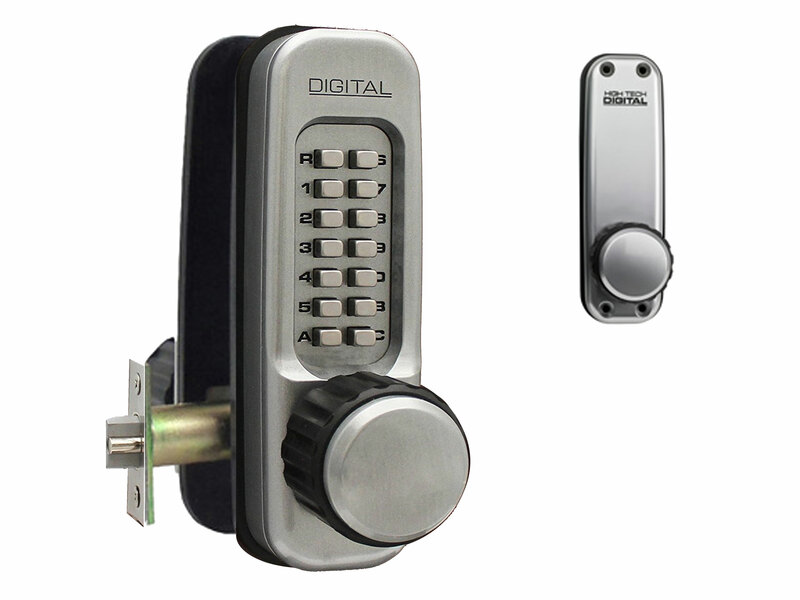 Compatible with all Lockey 1000 Series Keyless locks (1150 and 1600, single or double-sided). 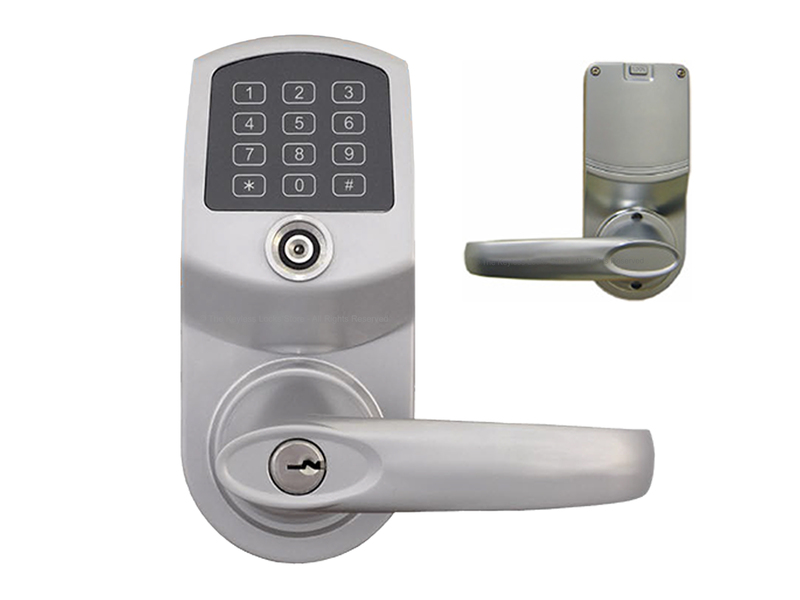 Compatible with all Lockey 2000/3000 Series Keyless locks (single or double-sided). 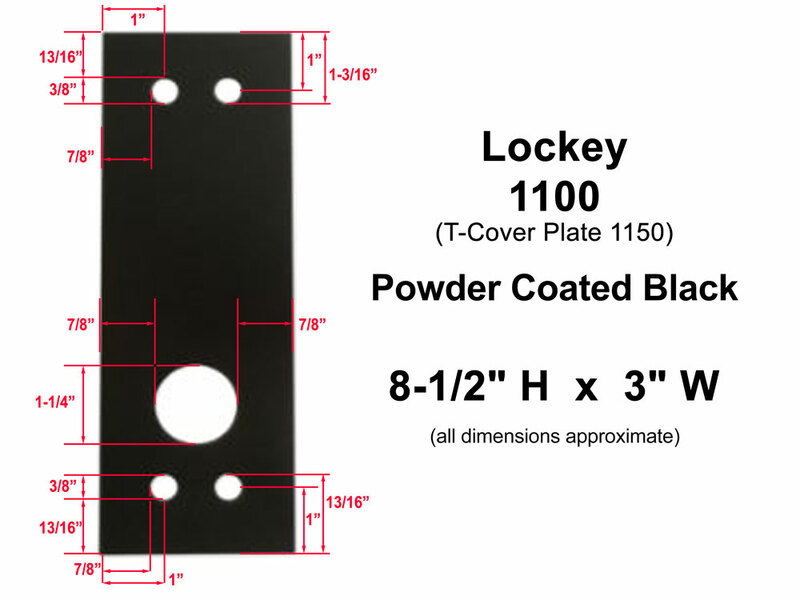 If you need a rubber trim plate instead (to make a better seal or to better cushion the lock on your door if it is slammed), take a look at this item: Lockey Plastic/Rubber Trim Plates. 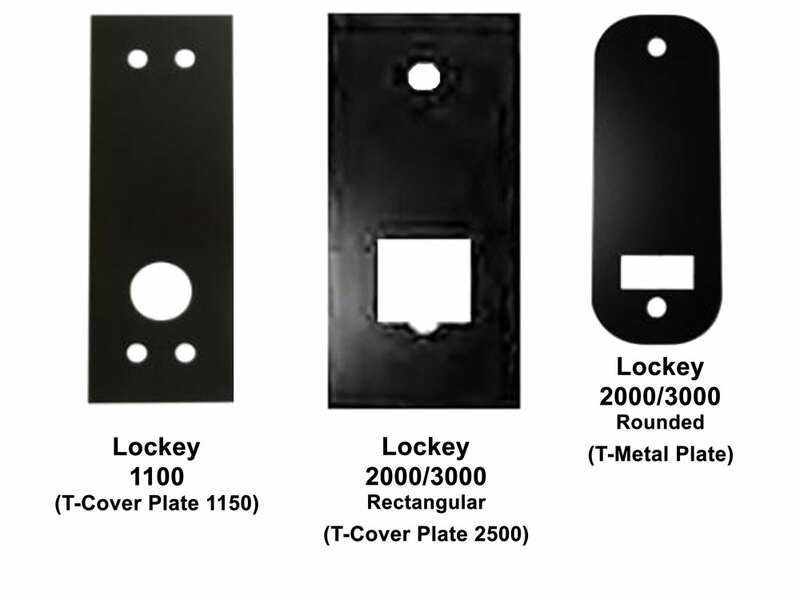 If you need a metal trim plate for an Eternity, RemoteLock, or ResortLock instead, click here: Eternity, RemoteLock, & ResortLock Metal Trim Plates.